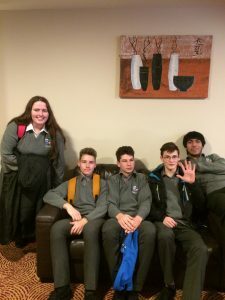 TY students Ava, Tomasz, Damien, Ramy and Kevin represented Grange Community College in the bond trader competition run by Bank of Ireland. 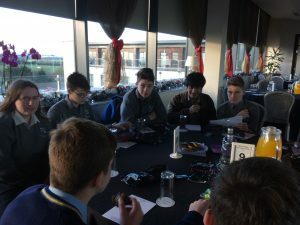 This took place on the 3rd December in Carlton Airport hotel and schools from all over north Dublin took part. Grange Community College were awarded fifth place out of a total of 22 participants. Well done to all!